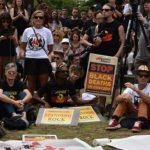 This February 13 marks ten years since then prime minister Kevin Rudd issued an apology to First Nations peoples, acknowledging the tens of thousands of children who were forcibly removed from their families in what became known as the Stolen Generations. However, the 2018 Productivity Commission report reveals that over the decade since the apology, the number of Indigenous children in out-of-home care has almost doubled. Released on January 23, the report outlines that in 2008 there were 9,070 Aboriginal and Torres Strait Islander children in out-of-home care nationally, while on June 30 last year, there were 17,644 Indigenous kids who’d been removed from their families by community services. The total number of children in out-of-home care across Australia was 47,915. This means that First Nations children accounted for 36.8 percent of all children in out-of-home care, while 2016 Census figures show that Indigenous people comprise of only 2.8 percent of the nation’s population. Indeed, Aboriginal and Torres Strait Islander leaders are calling this the ongoing stolen generations. The Aboriginal and Torres Strait Islander Child Placement Principle recognises the cultural importance of placing removed First Nations children in the care of their own extended families or communities. Section 13 of the Children and Young Persons (Care and Protection) Act 1998 governs this principle in NSW. It provides that an Indigenous child or young person must be placed first in the care of their extended family or kinship, or else within their community, or in Indigenous foster care. It’s only after all of these possibilities have been exhausted that the secretary of the Department of Family and Community Services (FACS) should consider non-Indigenous care. 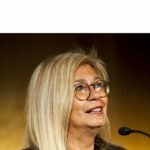 But, the latest Productivity Commission report reveals that the system is failing Indigenous children on this account, as the number of Aboriginal and Torres Strait Islander kids who have been placed in culturally appropriate care has dropped from 74 percent in 2008 to 67.6 percent in June last year. The latest national figures show that NSW continues to have the highest number of Indigenous child removals in the country, with 6,824 First Nations children, or almost 73 children out of every 1,000, in out-of-home care. These removals are being carried out by FACS. 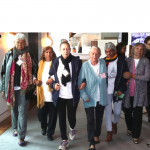 On National Sorry Day 2014, a group of women from the Gamilaraay nation in northern NSW, known as Grandmothers Against Removals (GMAR), organised a national day of action against the forced removals of Indigenous children from their homes. Fifteen protests were held across the continent, one of which was staged outside of NSW state parliament. 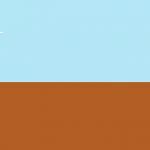 Since 1998, National Sorry Day has been held on May 26. It’s a day to remember the collective trauma of the Stolen Generations, on the date that the 1997 Bringing Them Home report was tabled. The report sought to raise public awareness to the plight of the thousands who were taken away. 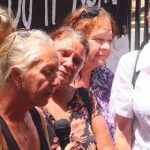 Sydney Criminal Lawyers® spoke to Suellyn Tighe and Debra Swan, founding members of GMAR NSW, about the ongoing forced removals of Indigenous children, the legacy of trauma, and the steps they are taking to bring about change. Firstly, last Thursday, the Productivity Commission’s latest report revealed that since 2008 the number of Indigenous children in out-of-home care has almost doubled. However, over recent years, this situation has been gaining a lot of attention. Why is it only getting worse at present? Suellyn: We’ve trod the streets, and we’ve sat down and had meetings. But, it’s not filtering down the coalface: the people who are directly working with the communities and families. What’s lacking is there are no accountability mechanisms for what is happening. And we’ve been saying for a long time that there needs to be accountability. Are they predisposed to take Aboriginal kids, as opposed to non-Aboriginal kids? It seems to be that they take Aboriginal kids a lot earlier in the process, than they do non-Aboriginal kids. Debra: We’re been putting the message out. And we’ve produced the position document: the Guiding Principles for strengthening the participation of local Aboriginal community in child protection decision-making. We don’t think it is filtering down to the people who actually carry out the removals. That’s why we’re meeting with these people and trying to set up local advisory groups. These are groups that have to be made up of Aboriginal grassroots organisations and NGOs to work with community services. And these are to monitor the removals, the Aboriginal Child Placement Principle and the family meetings that need to occur before any child is removed. The report also found that the proportion of the removed Indigenous children who’ve been placed in the care of other Indigenous family members, other kin, or Indigenous foster care has decreased. Why isn’t the Aboriginal child placement principle being followed? Suellyn: Again, that’s occurring because there’s no accountability mechanisms. Within the Aboriginal Child Placement Principle, the last step is non-Aboriginal foster care. 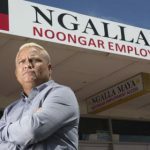 But, what we are seeing is they are bypassing all the other options – which is Aboriginal families, extended families and community – and they are automatically going straight to non-Aboriginal placement. There’s no mechanism that holds them to account on why they make their decisions, and why the children aren’t placed with Aboriginal families or in Aboriginal care. There’s just no checks and balances. This is all done on an individual basis. What it comes down to is the casework manager, and the caseworker make those decisions. And they make a judgement on whether Aboriginal people are suitable or not. I wanted to ask what might be an obvious question: why is it necessary that these children are placed with Aboriginal families? Debra: When you look at the evidence, particularly the Bringing Them Home report, 65 to 70 percent of the kids who go into out-of-home care end up in the juvenile justice system, and then onto the criminal system. And there’s also a high rate of suicide. So, out-of-home care doesn’t work. And that’s why family placement would work better for the kids. They talk about the best interests of the kids. But, realistically, all the research and evidence of the kids harming themselves, or being harmed by others, is in out-of-home care. There’s evidence to prove that when children are placed with family, they’re more likely to have a better life, and opportunities. It also says that not everybody in that child’s family is an abuser. The racist thing about the judgement of the caseworkers is they think everybody related to a child is going to abuse them. Suellyn: Through their assessment process, and through the lack of Aboriginal placements, they’re actually saying that all members of the Aboriginal family – and also, because they miss Aboriginal foster care as well – that all Aboriginal peoples are deemed not suitable. That’s the generalised comment. In terms of those people who gave submissions to the Bringing Them Home report it’s clear that they carried this sense of loss with them for their whole lives – a loss of identity, and a loss of culture. That’s quite plain in the report. Debra: The most important thing is they lose their identity. And to lose your identity is the thing that causes the kids to suffer depression or trauma. Suellyn: And also, the report reflects the trauma in the current situation we are seeing. It’s the psychological, emotional and physical trauma that the children in the system experience. And we’re not seeing the department recognising the trauma they’re actually causing to these young children, and the stolen generations of the past. They’re not recognising trauma. 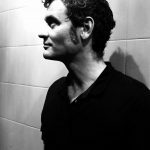 In the present day, their knee-jerk reaction is they get kids to go off to paediatricians to give them things like Ritalin or psychotropic drugs to manage behaviour, which is manifesting because of the trauma or experience of removal. So, they’re masking the behaviour of the children in care by placing them on psychotropic drugs. Debra: We do understand that some kids are traumatised living in homes where there is domestic violence, and those sorts of things. But, putting them into out-of-home care just increases the trauma that they suffer. And that’s the proof in the Bringing Them Home report. These people say when they are fifty years old, even though some of them had good foster homes, they’ve still lost their sense of belonging. They were still searching and trying to connect with family. And that’s the reason we talk about the trauma. When these kids are 18, even if they’ve been in a good foster placement, it does not set them up for a good life. And some of them end up in the criminal justice system, even though they said they’ve had good foster care. And what are some of the long-term effects removing these children has on communities as a whole? Suellyn: Every time an Aboriginal child is removed from a community, it is a loss for that community. And communities do go through a grieving process. We don’t think that’s being recognised either. Because, the loss of a child affects everyone. I quite often tell the story of the removal of my grandchild. I’d never thought of it from this angle until it happened. One day, I was shopping at the local store, and a young girl that my granddaughter used to go to preschool with came up to me. She was having a birthday party and wanted my granddaughter to go. This girl is non-Indigenous. And I never thought about how it would affect her friends when she was going to preschool. I never thought about how it would affect anyone else. And the little girl got upset, because they were best friends at preschool. And that’s when it struck me that this doesn’t only affect the Aboriginal community, it goes out further than that. Debra: There are aunties, uncles, first cousins: all these people feel that loss as well. It’s almost like a death happens. But, they know the person is still alive. Suellyn: It is like a living death. So, you go through all the stages of grief. But, you never gain acceptance, because these people are still alive. So, you don’t get to the acceptance level of the stages of grief. Every time, a family event happens and those children aren’t present, or their birthdays come around, they’re the type of things that send you back on the trauma and grief rollercoaster. GMAR began campaigning in 2014. And since that time, you’ve been meeting with FACs representatives and making recommendations. In fact, GMAR was awarded the 2016 Aboriginal Justice Award by the Law and Justice Foundation for your efforts to ensure there is appropriate Aboriginal participation in child protection decision-making. Have FACS made significant changes in the approach it is taking in regard to child removals? Debra: Well, to change the culture of an organisation takes a long time. And we don’t accept the small changes. So, that’s why we meet with them continually. We are monitoring them to make sure that they are making the bigger changes. We want changes right across the board, so human rights and social justice are being looked at as well. The other thing is it’s not just community services. We’ve also met with magistrates and solicitors, as they’re enablers. They help FACS through the process. When it comes before the court, community services is protected. Others don’t get experienced solicitors. It’s not just community services that keeps this going, it’s the legal system as well. Judge Johnson said at the inquiry that FACS applications are rubber stamped. They don’t really listen to the family, as to whether there are other family members that could take the kids. The whole gamut of child protections services are stakeholders, which also enables FACS to do what they do. And that’s the whole culture. Nobody makes FACS accountable. They’re like a law unto their own. The forced removals are being carried out in all states and territories across the country. And this is being done by the various departments of community services. In your opinions, how is meaningful change going to be brought about? Debra: That’s why we always want to meet with the heads of the departments. Because, to make changes in these organisations it has to be the people at the top that make them and give the directives out to caseworkers. Because, they won’t change unless it comes from the top. Suellyn: The culture of these organisations need to change. We also go out and help communities set up local advisory groups. So, we work from the bottom up to the top, and from the top down. We’re trying to do this in a multifaceted way, so we don’t have only one avenue to bring about change. Because if we only work with one avenue, it’s going to take decades longer. We’re impatient people, so we are trying to carry out the strategy that will get us to where we want to be, which is with no child in an unsafe environment. And sadly enough, part of what GMAR NSW does is have to call out when kids are in worse situations in out-of-home care, than they were in their own families. That’s just a statement of facts. Children deserve to be in a safe environment. So, we’re trying to take many paths: all paths that lead to the same spot. Otherwise, our grandchildren could be sitting in our chairs. And we want change to come earlier. We want substantive change that we can see impacts children who are entering into care. Debra: The other thing is that early intervention and prevention has very little funding. Out-of-home care gets 70 percent of the funding. And the other 30 percent doesn’t all go to early intervention. So, early intervention gets a small percentage of funding, when it should be the reverse. Seventy percent of funding should be going into early intervention and prevention to help these parents, rather than removing the children. And we’ve stated this when we’ve met with FACS and those people. The focus should be on the early intervention and prevention services to help these families. And lastly, what’s GMAR been working on of late? And what’s the next step? Debra: It’s about setting up these local advisory groups, as this is just too big for us to do. We want other nations to form their own groups, so that’s the thing we are aiming for at present: to make sure we get all the nations in NSW. Eventually, we want it to go across Australia. We want all nations to have these groups that keep community services accountable. And to make sure that if a child has to be removed, that they are placed with family members, who will keep them safe. Suellyn: And it’s also about giving Aboriginal people their self-determination. We’re about helping those people to empower themselves. They shouldn’t be told that this is what you should do, and this is what you shouldn’t do. We’re there to support these groups and communities, so that they can be involved in their own decision-making. Should Magistrates and Judges Be Required to Obtain an Extra Qualification?